This release is available exclusively via digital download, and draws from Taylor Deupree's favourite moments from his collection of live recordings, taking in performances from Bern, Hiroshima, York, Yamaguchi and an unknown location denoted somewhat mysteriously as '???'. Deupree settled upon a single presiding theme for these selections: linearity and the idea of "mellow" and "drawn out" tones. Any such summary inevitably plays down the complex nature of Deupree's finely developed droning sonorities: the opening piece teems with microsonic activity and shifting, unfixed harmonies, avoiding any sort of conventional compositional development in favour of a slow decay curve - the tones start out bright and tuned only to ultimately vanish away into a nebulised sound mass. 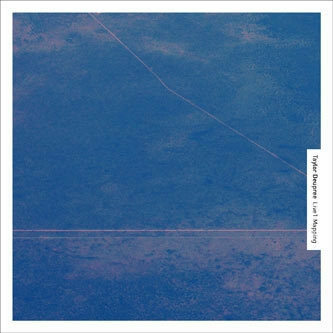 The remaining performances date between 2004 and 2006, prompting parallels with Deupree's albums from around that period; the beautiful (and all too brief) Yamaguchi piece in particular evokes the gentle, looped sequences of the Spekk release, January, whilst the deep shimmer of the Hiroshima recording is more in line with the electroacoustic melodicism of Northern. Exemplary electronic constructions from the 12k boss, and a great, coherent stop-gap album between 'proper' releases.